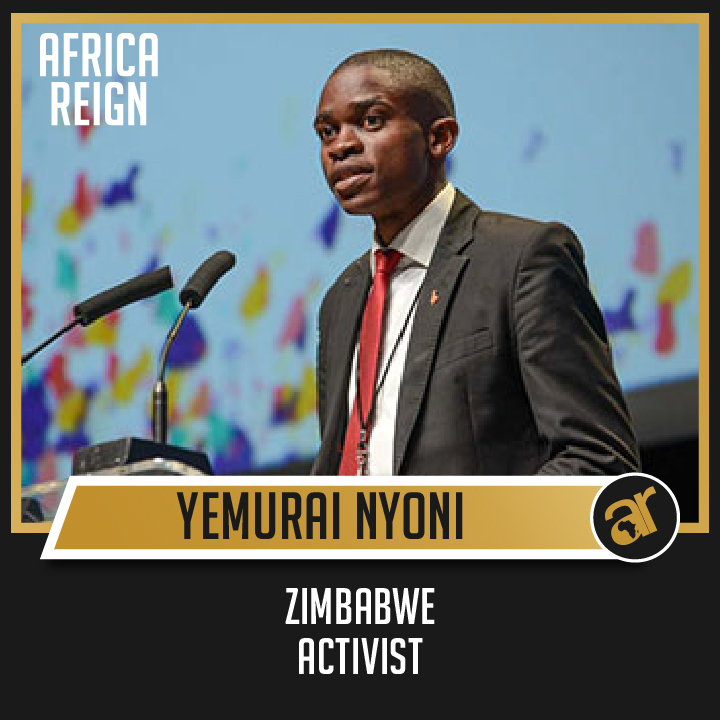 Yemurai Nyoni is a 25-year-old Zimbabwean activist, who expects to influence global governance within the next 15 years through equipping young leaders and creating and supporting spaces for youth to exercise their leadership. As a leader in his country, he helped build and eventually led a national network of over 1200 young leaders working on sexual and reproductive health in Zimbabwe. His experience as an activist has seen him serve in a number of leadership positions nationally, regionally and globally. He also provides constant mentorship support and voluntary consultancy for young leaders in the African region who lead organizations in their countries. Yemurai cares about women and girls because they’re largely at the receiving end of bad social policy, the repercussions of war, and the impact of drought and disease. According to the World Bank, women account for 61 percent of those living with HIV and young women are three times more likely to be HIV positive than young men. Girls continue to be married off in their adolescence, which puts them at grave risk of experiencing violence from their significantly older counterparts as well as adverse complications of pregnancy and childbirth. In my view, according to the statistics we see everyday, being a young African woman is perhaps the most perilous form of identity in the world today. African women and girls face heightened life risks from the complications of pregnancy and child birth, are subjected different kinds of violence and t disenfranchised by our patriarchal society. I believe this isn’t right, and that we must turn the world on its head to right this injustice. Yemurai also believes that the current investment case for women and girls should not focus on the burden of disease or the development challenges they face. He believes that we should focus instead on the strength and immense potential that women present as the ‘better-half’ of humanity. We must not invest in women because of their perceived weakness but because of their definite strength. Women are the driving force behind agriculture in the continent, they actively build the capacity of their children, are innovators in business and politics and have great resilience in the face of adversities like war, famine and disease. This is what fuels his passion for women and girls and he has determined that if he can play the smallest part in ensuring gender equality then he must play it well. What does Africa Reign mean to you? I value the concept of building a generation of African youth with the power to redefine their identity, shake of historical inferiority and claim their God-given influence. Africa Reign to me represents a movement with these values; a reflection of the strength of the youth of our continent and a chance to reconstruct the perception of what it means to be African. What steps should we as African youngster take in order to move Africa Forward? The first is to stop thinking small. To do this we must become more inquisitive, we must seek to find out why things are the way they are, to analyse the things we consume and find out how we can create them ourselves. We must change our mindsets from being perennial consumers of foreign culture, technology and education, to being producers of authentic African products. Who says British citizens shouldn’t learn Swahili or that the African drum shouldn’t become a core feature in international orchestras. So I challenge every young African to learn something new every year, to buy a notebook and think of new inventions. Create your own vacuum of innovation and force yourself to produce solutions to our continent’s challenges. Refuse to accept the existing order.